In theory, New Year’s is all about new beginnings. In practice, it's also often about old ways, about food customs people hold onto dearly. These customs include celebratory toasts, classic dishes, and fortuitous ingredients. Consider trying one of these eight culinary traditions from around the globe to help ensure health, wealth, and happiness in the months ahead. Me? I might just try them all; I'm aiming to collect as much luck as possible in 2009. #(clear n1). 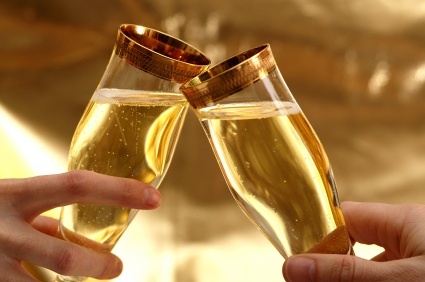 [%image champagne float='clear right' width=350 caption="Toasting the new year with Champagne."]Champagne. Bring out the flutes — no New Year’s celebration is complete without a bottle of bubbly. Technically, only those from the Champagne region of France, an hour’s drive northeast of Paris, can be called Champagne. But further options abound, such as crémant, a sparkling wine made in other parts of France; prosecco, Italy’s best-known bubbly; and cava, Spain’s fizzy concoction. And, of course, sparkling wines from the United States remain popular and plentiful. #(clear n2). 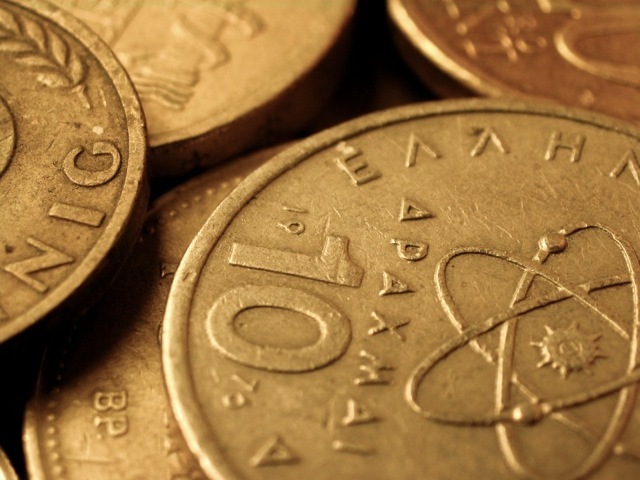 [%image reference-image float='clear right' width=350 caption="A Greek coin to use inside vasilopita."]Vasilopita. Vasilopita, the Greek New Year’s treat, is similar in concept to the French gâteau des Rois and its descendant, Louisiana's king cake. Bakers hide a small trinket, in this case a coin, somewhere inside a round buttery cake. After the host cuts the vasilopita, he distributes slices to guests according to age: older folks first, then younger ones. The person who gets the piece with the coin is guaranteed good fortune for the year. #(clear n3). 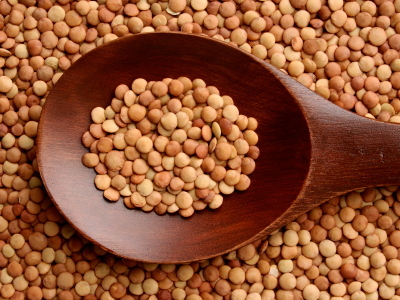 [%image lentils float='clear right' width=350 caption="Lentils look like coins. "]Lentils and sausages. Because lentils plump up like little coins when cooked, they’re eaten in Italy (often paired with cotechino, a hearty pork sausage) to ensure wealth and prosperity in the new year. British food personality Jamie Oliver tops green lentils and sausages with a nice tomato salsa in his cookbook Jamie's Italy, calling the combination Italy’s equivalent of bangers and mash. He serves them alongside a bowl of steaming broccoli. #(clear n4). [%image grapes float='clear right' width=350 caption="Grapes for luck."]Grapes. 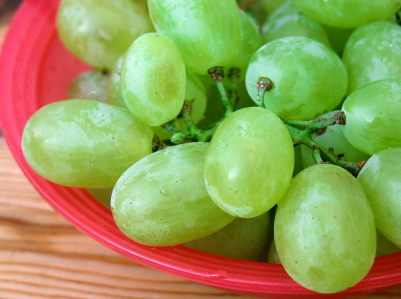 Partygoers in Spain eat 12 grapes on New Year’s Eve or New Year’s Day, one for each month of the coming year. If the fifth grape tastes a bit sour, for example, that may mean that the fifth month of the year (May) might be a bit sad. Hopefully, all the grapes will be gloriously sweet. The practice dates back to 1909, when grape growers in the Alicante region of Spain wanted to get people to buy more fruit during an especially bountiful harvest. The idea stuck, and eventually spread to Portugal as well as Venezuela, Cuba, Mexico, Ecuador, and Peru. #(clear n5). 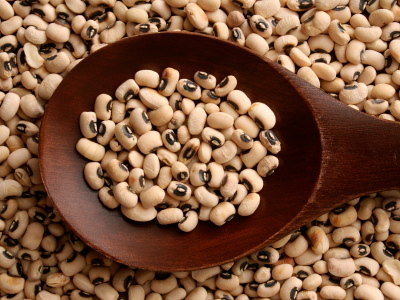 [%image peas float='clear right' width=350 caption="Black-eyed peas are essential for Hoppin' John. "]Hoppin’ John. For Southerners Matt and Ted Lee, hoppin’ John is too good a dish to eat just on January 1. They often crave black-eyed peas with rice when they’re tired or stressed. In The Lee Bros. Southern Cookbook, they offer not one but two recipes for this Southern New Year’s classic. The first gets its flavor from bacon. The second, which the Lees dub Saigon Hoppin’ John, calls for Asian ingredients such as ginger, lemongrass, coconut milk, and cilantro. It might raise traditionalist eyebrows, but if fluffy black-eyed peas, said to resemble lucky coins, are involved, who’s complaining? #(clear n6). 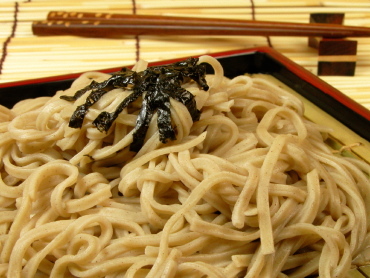 [%image soba float='clear right' width=350 caption="Soba noodles symbolize longevity and prosperity in Japan. "]Soba noodles. Japanese households mark the end of one year and the start of another with toshikoshi soba, served traditionally on New Year’s Eve. The custom dates back to the 17th century. Buckwheat noodles, which symbolize longevity and prosperity, are cooked in broth and topped with simple items such as scallions and mushrooms. The noodles are available dried in most Asian grocery stores; thin spaghetti noodles could work as a last-minute substitute, too. #(clear n7). 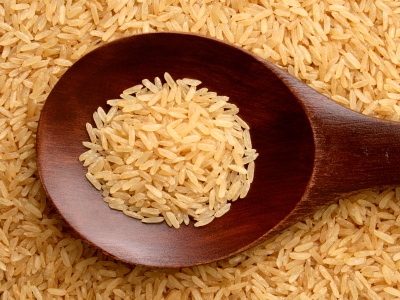 [%image rice float='clear right' width=350 caption="Rice becomes cake in the Korean dish ttok kuk. "]Ttok kuk. Somewhat similar to the hearty Vietnamese soup known as pho, traditional Korean ttok kuk consists of thinly sliced rice cakes served in a slow-simmering beef broth. It's eaten during the Lunar New Year (which falls in 2009 on January 26) to ensure luck and longevity. Children often make a game out of the dish, writes Karen Hulene Bartell in The Best of Korean Cuisine, eating the same number of rice cakes as their age. The dish can be supplemented with mandu, Korean meat-and-vegetable dumplings. #(clear n8). 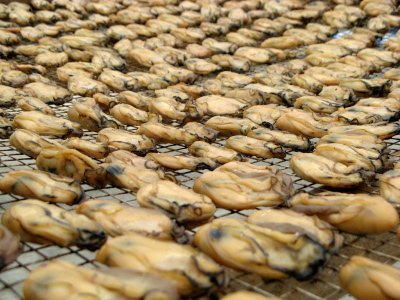 [%image oysters float='clear right' width=350 caption="Dried oysters are a traditional ingredient in jai."]Jai. Also known as Buddhist’s Delight or Vegetarian’s Delight, jai is eaten on the first day of the Lunar New Year in China. Pegged originally as an ancient offering to Buddha, the dish incorporates a selection of dried and fresh ingredients. Items such as fat choy, a form of black seaweed, and ho see, dried oysters, signify wealth and happiness. Ellen Leong Blonder and Annabel Low (Every Grain of Rice) use roughly 15 dried and fresh noodles, fungi, nuts, and vegetables in their jai, while chef and cooking instructor Ken Hom (Ken Hom’s Chinese Kitchen) strips his recipe down to eight or nine essential elements. Serve either version with steamed white rice for luck and success.